Add more than colour to your walls! Paint : Gone are the days when paint only meant a range of colours, today it comprises of varying textures, styles and patterns. More exciting than the product range, is the websites and visualisation tools that these paint manufactures offer today’s customers! While the builder will most probably paint your house with 2 coats, you can have a say in the colour/texture, as long as you are willing to buy them the material. Else you can do it through an external source, paint manufactures such as Asian Paints, Nerolac and Dulex to name a few have extensive expertise to help transform your home. These brands have products ranging in colour, texture and style for both interiors and exteriors. The paints usually have matte, gloss and metallic finishes that you can choose from. There are solid colour options when you only want colour and no texture, or you can choose from a range of textures such as crinkle effect, weave effect, dab effect and many more, with different brands offering different effects. While matt finishing gives that subtle elegance and helps hide wall imperfections and unevenness, gloss and metallic textures can bring grandeur and glamour to your walls. Then there are stencil styles, this brings together the best of paint along with patterns such as motifs and shapes available previously only on wallpapers. 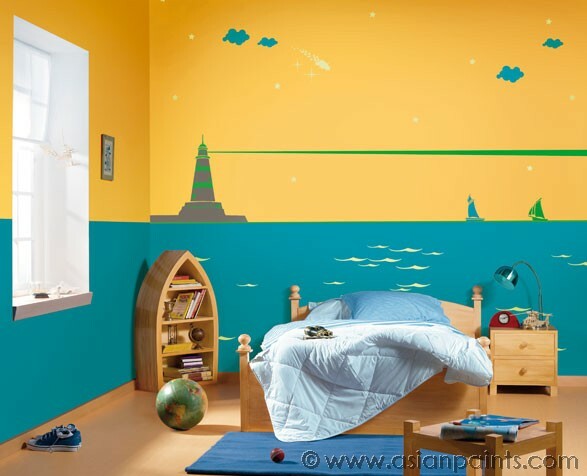 The paint technology also plays a vital role in today’s consumer choice, there is high regard for paints low on VOC and environment friendly. There are paints available to fit every budget range, from water based emulsions to acrylic and synthetic resin mediums. These paints offer important features such as anti-fungal/anti-bacterial properties to help protect your walls and environment, stain resistant coating and washability. Some of these brands even offer warranty periods ranging from 1year to 5years against fungal formations, flaking and staining. In my opinion however, the most exciting improvement is the websites of some of these brands. They have made it very consumer friendly, not just giving you information about their various products but also have tools to help you visualise colours in your house. They allow you to upload images of your room and try different paint options, textures, colours and styles. They also have a range of inspirational wall/room decor pictures to browse through. The adventurous can even try their hand at creating their own color shade. Even though they have consultants that can come home and help you with your choice, the website tools provide a number of options to help you make personalised choices from the comfort of your home. And if you are worried about budget, there are cost calculators to help you with that too, just decide on the product you would like to use along with the area of the room you wish to paint and you can calculate the approximate costing. 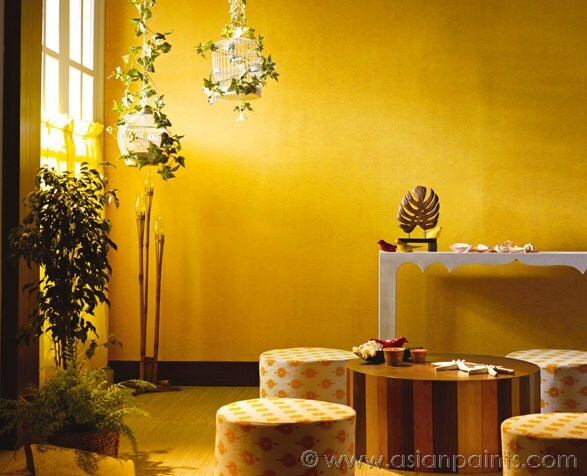 With all these features painting your walls can bring life to your interiors without killing your pocket! 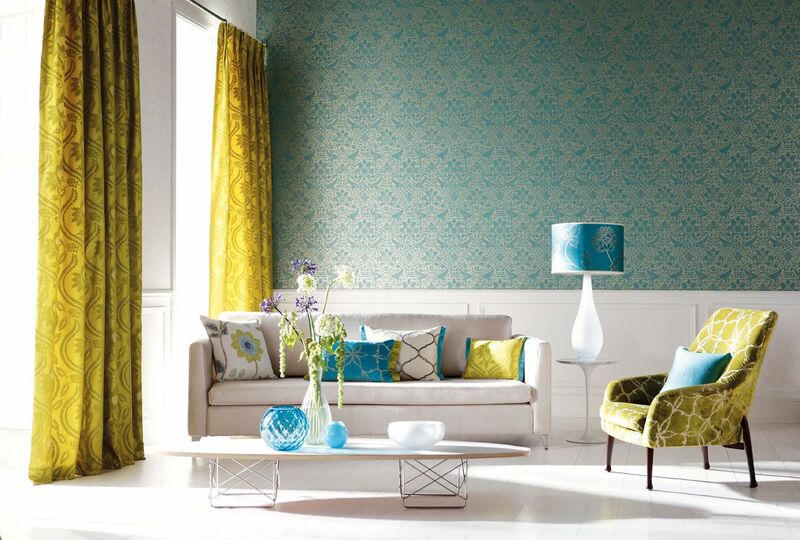 Wallpaper : Quite popular and prominently used abroad, in India, wallpaper is now becoming a popular trend. The variety of options again is vast with thousands of prints and patterns to choose from. There are different finishes available such as matte, gloss and metallic, as well as 3D effect. They come in different sizes and shapes to help achieve customised looks. Like paint, wallpaper also offers benefits such as stain-resistance, washability, durability, anti-fungal resistance and great cover up for uneven walls/cracks. Added to these, there are a few benefits exclusive to wallpaper such as the vast range of options in texture and pattern that is difficult to achieve with paint and the ease of application. The wall paper comes ready to be applied on the wall and can save time unlike painting which requires multiple coats of primer and paint. Wallpaper comes with vinyl or woven material backing options that increases the durability, and in case you were thinking about safety standards, many of these brands have been tested to be fire-resistant as well! There is really no reason to not go for wallpaper, provided you choose the right brand and company to execute the task with excellent finishing. This can provide a seamless look for the walls and transport you into another world entirely with a range of stunning visuals. The patterns and prints range from nature inspired stone walls and wood panels to classic motif inspired themes and even highly modern and abstract themes. You can also go for a bold wallpaper pattern for your accent wall, supported by more subtle texture for the companion walls. It can provide a stunning backdrop in your living area and bedrooms with no need for any further art hanging! However, it is important to keep in mind that wallpaper though washable is not water-proof, which means too much dampness or exposure to constant moisture can damage them! The areas such as kitchen can be avoided, while areas less subject to water exposure such as living areas can be done up with this option, and with good maintenance is expected to last between 10-15 years. 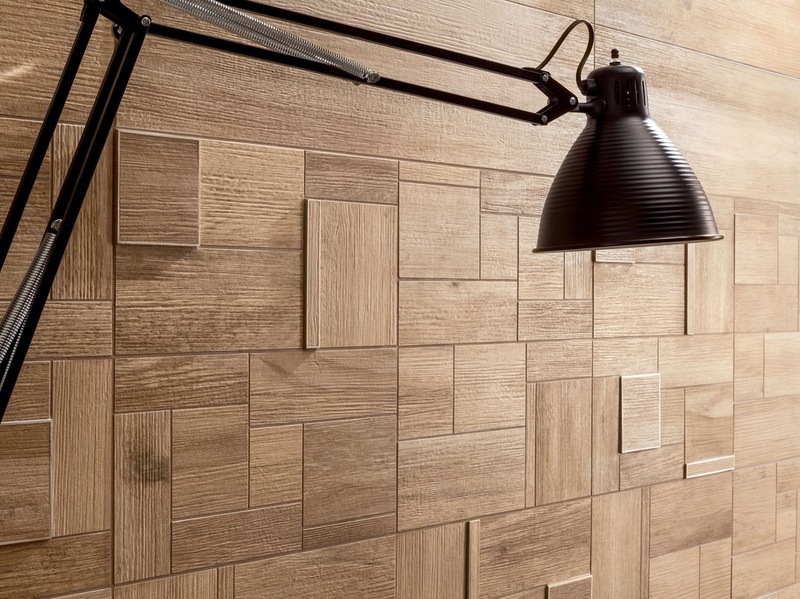 Tiles : Wall tiles are not just meant for your kitchens and bath areas. In fact decorative tile options available in the market today can add zing to your exteriors and interiors. 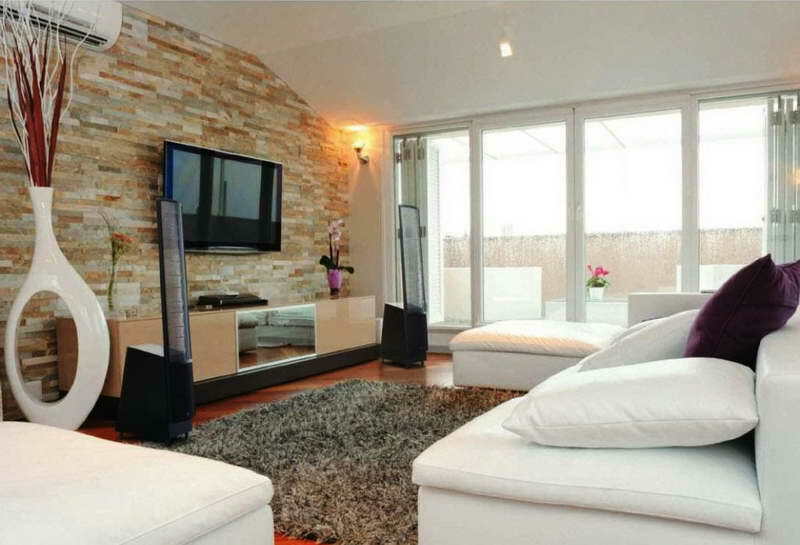 Wall tiles especially for an accent wall helps you make a bold statement in your decor. They come in a range of materials such as metal, PVC, wood, stone, ceramic, porcelain, marble and even vinyl. They are available in different shapes and sizes along with options in textures. 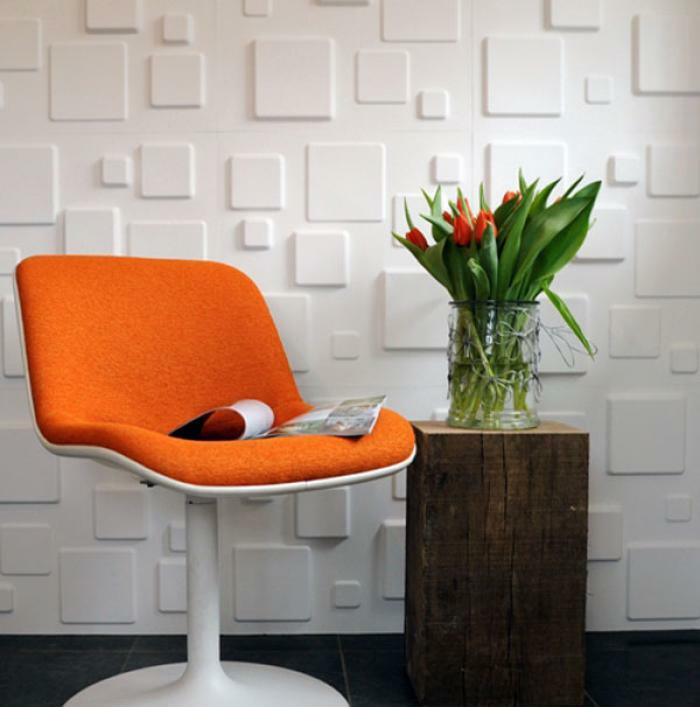 There are expensive options such as stacked pebble tiles and even 3D tiles to transform your space. Many such tile options in PVC, wood, ceramic and Vinyl are making their way into the country in easy to apply, ready to paste options. These provide quick solutions to a small area that can afford some unique treatment. 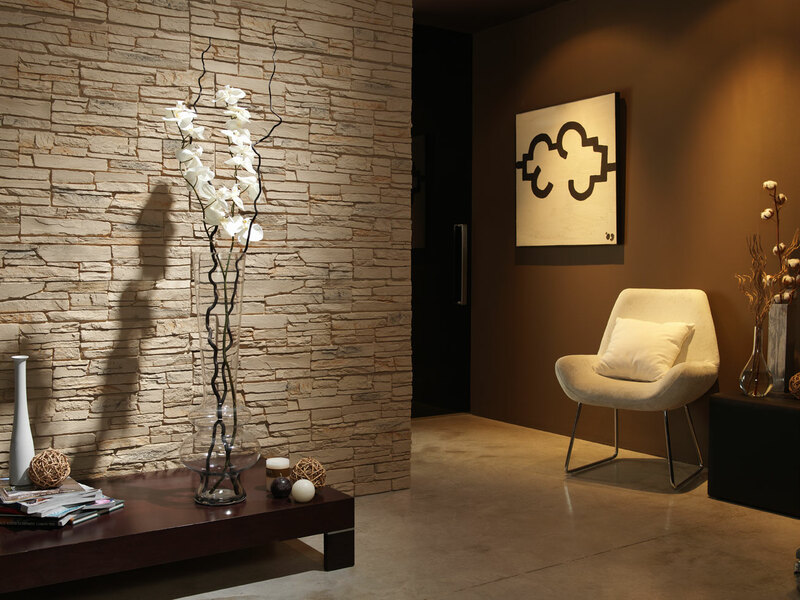 There are also a range of specialist stores in stone and wood wall tiles to help you execute the same for larger areas such as a bedroom backdrop wall or the living room wall or even your foyer area and balcony! These tiles, are stain resistant, have high durability and in most cases are either water-resistant or washable. They come in options such as glazed for the high gloss look and unglazed for the rough matte finish. Depending on the material and finish they can provide high durability for areas prone to water exposure and traffic. While until recently more popular in commercial areas, the increase in variety and budget option, is helping more and more home owners adopt this style for their signature walls.